School holidays can be a seriously stressful time for parents, especially working parents. After all, it may be school holidays but that doesn’t mean your work stops, too. Luckily, Isagenix® has a secret weapon to help you ease your way through the school holidays that’ll have everyone wondering how you do it! That’s right, we’re talking about e+, the energy-boosting, fatigue-fighting shot of adaptogens and plant-based caffeine. Life can be hectic, days can run long and oftentimes we can feel like we’re running on empty, especially during the school holidays. Rather than running on empty, we want those on their health and wellness journeys to run on natural energy which is why we formulated e+. A nutrient-packed, naturally-caf­feinated energy shot that gets, and keeps, you active and alert. 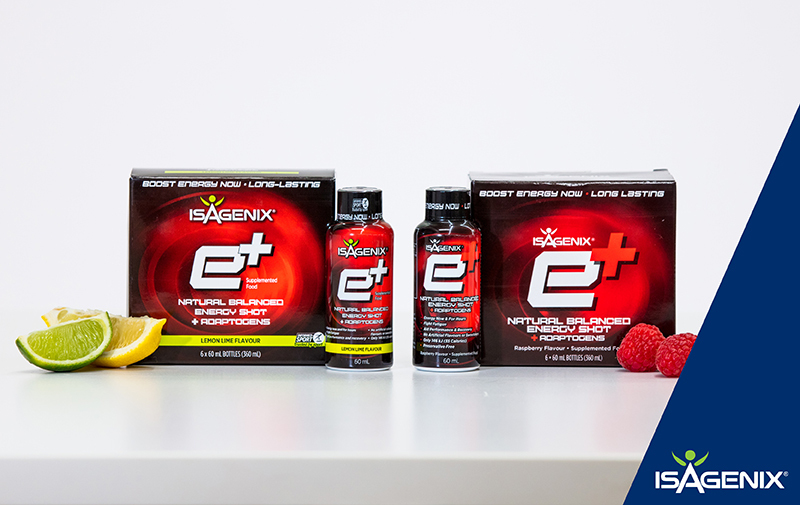 e+ is a healthy and safe way to provide that ‘get-up-and-go’ needed for both the average person and the competitive athlete. They’re also Informed-Sport Certified, so for all you professional athletes out there, you can feel at ease knowing e+ contains no prohibited ingredients. Even better, they’re also Cleanse-Day approved and only 35 calories per serve! Head to your Back Office to ensure you’re all stocked up on e+ to help get your through the school holidays. Don’t forget to stock up – it won’t be long until your friends are asking you to Share the Shot!